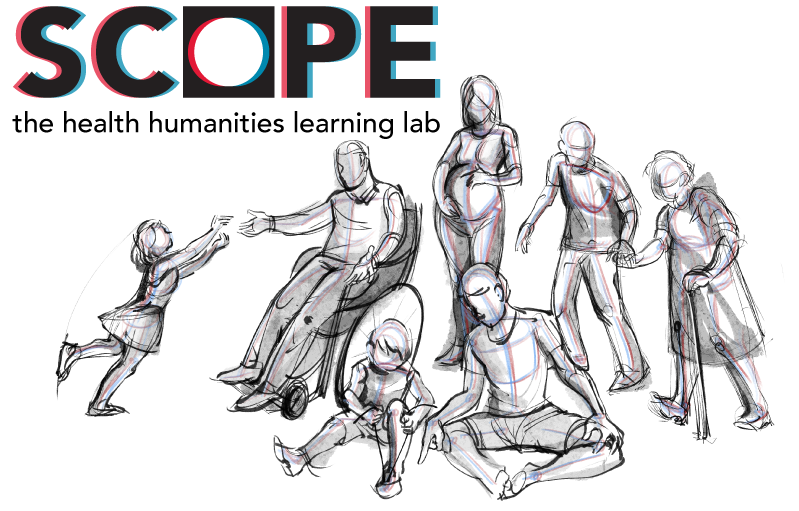 SCOPE – The Health Humanities Learning Lab is a groundbreaking arts- and humanities-based research and education initiative at the University of Toronto Scarborough. The Health Humanities Learning Lab is a groundbreaking arts- and humanities-based research and education initiative at the University of Toronto Scarborough. Dr. Cassandra Hartblay! Check out her new courses for 2017-18 here. is open for enrolment! Details here. Welcome to SCOPE: The Health Humanities Learning Lab! SCOPE: The Health Humanities Learning Lab by Andrea Charise is licensed under a Creative Commons Attribution-NonCommercial-NoDerivatives 4.0 International License. Basically, you’re welcome to share and use anything here for non-commercial purposes but you must attribute all text and images to this site. Commercial use of any text or images is prohibited. Artists are magic, so don’t ever steal from them. If you like the awesome hand-drawn images you see on SCOPE, credit this website and then check out designer April Brust’s portfolio. Click here to learn more about Creative Commons. © Andrea Charise 2016-2017.